Remote server management is a fact of life for folks involved with sql server. 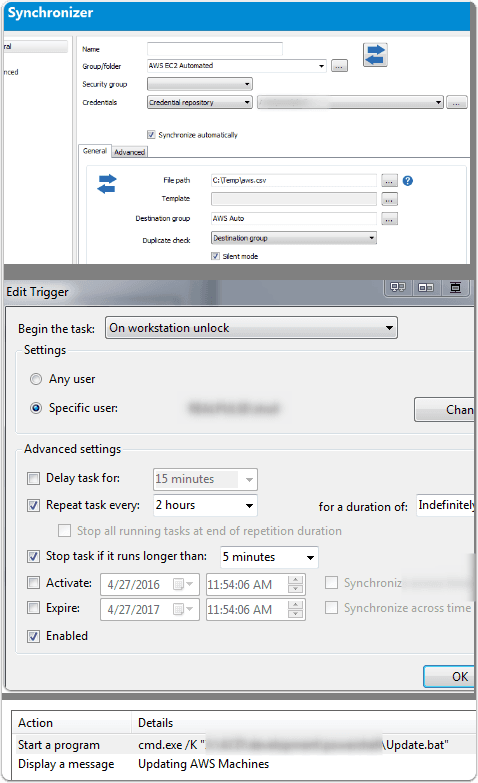 Since we work so often with remote machines I looked into a few tools that provided a better workflow than the default Microsoft tools. This one came out as the winner by far. Having to deal with a lot of remote machines, especially ones that change IP addresses periodically can be annoying for a DBA trying to remotely connect again. 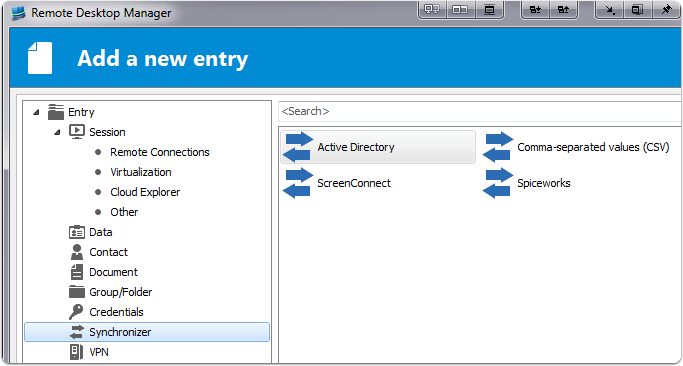 Devolutions Remote Desktop Manager (RDM) has some really cool functionality that can help automate refreshing these lists from a variety of sources. You can setup a synchronized session listing based on csv, activedirectory, spiceworks, and more. Eventually, I believe they’ll have an amazon ec2 synchronizer as well. In the meantime, with some powershell magic we can create a synchronized listing of remote machines to work with, no longer having to update ip’s manually in a Amazon EC2 system. 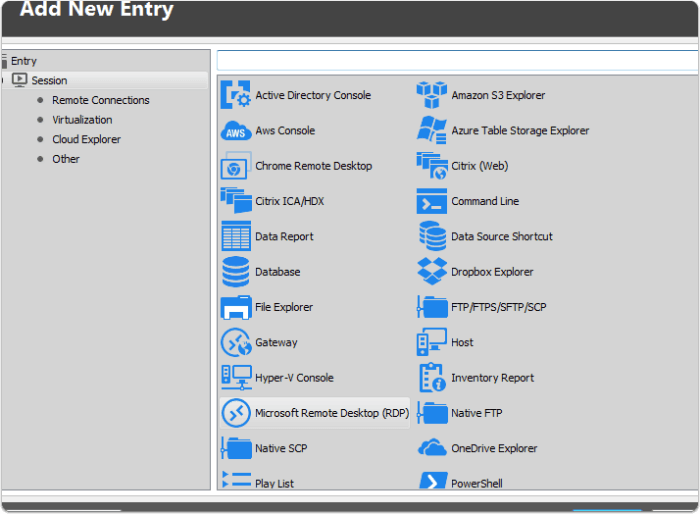 setup a powershell script that would obtain EC2 instances and output into a csv file. I found pieces of the needed code from various sources and modified to work for me. It’s not elegant, and much better ways are available I’m sure. This was helpful to me though and got the job done! 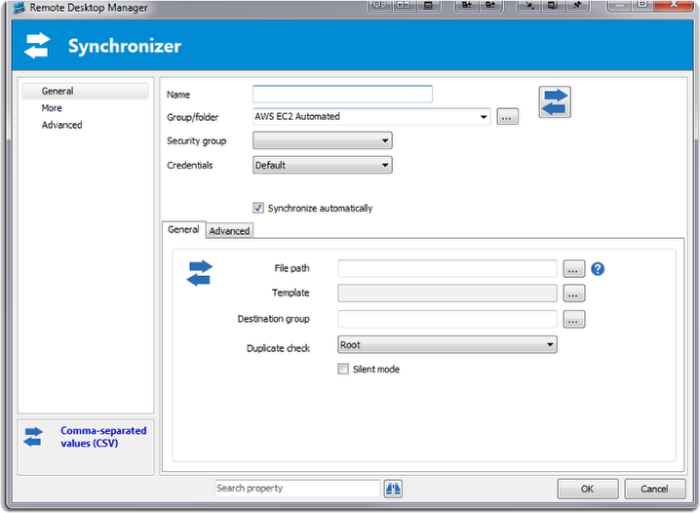 Synchronizing automatically gives us the flexibility to have a scheduled script to run the powershell command to get a new list of machines, and have the synchronized list run automatically maintain the latest connection information. In my case, I setup the powershell script to run every X hours so my connection information was always up to date. 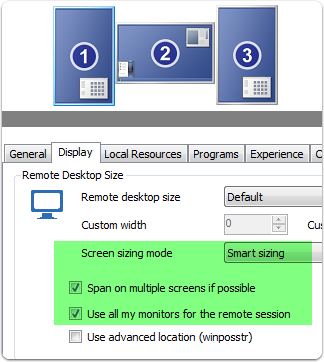 Microsoft remote desktop connections have support for multiple monitors by spanning display. I tested this out with an unconventional setup. I have 3 24inch monitors, with 1 landscape in the middle surrounded by 2 in portrait mode. It had some problems with this as it’s trying to create a spanned clone, however, if I had a typical setup, I think this would work fine, (such as a dual screen setup with the same orientation). I’m a big fan of Lastpass, but as I use it for personal password management, I wanted to keep my work related passwords entirely separate. Devolutions RDM offers some nice password management options and credential inheritance setup. Handles a breadth of different types of remote connections, such as Chrome remote desktop manager, Hyper V, remote command line, powershell sessions, Amazon S3, Amazon AWS console, Citrix ICA/HDX, and more. 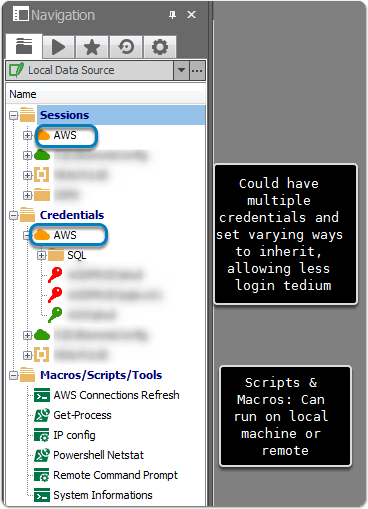 Can wrap up the trick of running SSMS (Sql Management Studio) with “RunAs” as a different domain and user, allowing locally run SSMS to be connected to AWS, or other environments. Lots of features, so I’m just covering some of the highlights that are of interest to me. I review quite a few apps, but this one is really difficult to review in detail as it covers such a range of functionality I’ve never even touched. The only con to the app I’d say is it can have a bit of a higher learning curve than using the plain old Remote Desktop Manager from windows due to the breadth of functionality it covers. However, once using this app, and discovering little pieces of functionality here and there, this is in my permanent “essential tools” toolkit. 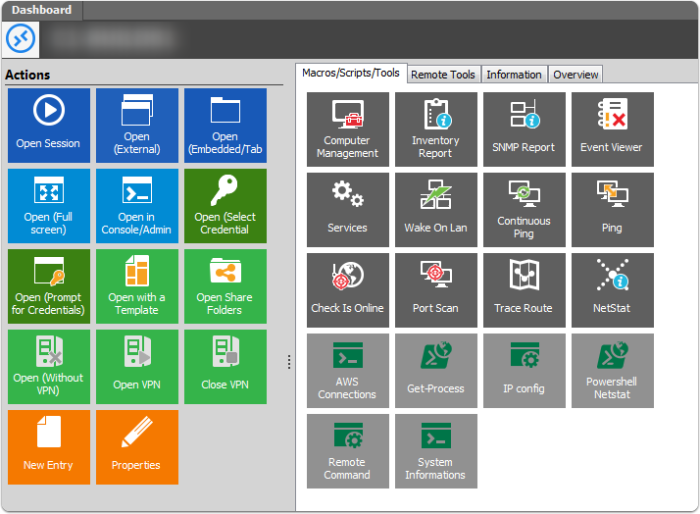 Remote Desktop Manager is an all-in-one remote connections, passwords and credentials management platform for IT teams trusted by over 270,000 users in over 120 countries.